WWE Superstar Roman Reigns was revealed to be the final draft pick for the blue show tonight. After tonight's 205 Live tapings, Roman Reigns and Randy Orton faced off in a no contest. Tonight's edition of SmackDown Live came in the wake of a huge announcement on WWE's official website. It stated that Vince McMahon was going to reveal "the biggest acquisition in the history of SmackDown Live". The mystery Superstar turned out to be Roman Reigns. The Big Dog made his way to the ring, and hit two thunderous Superman Punches on Elias and Vince McMahon. He finished it off by delivering a Spear on Elias. Post WWE 205 Live tapings, Reigns and Orton faced off in a dark match. The bout ended in a peculiar fashion, with no winner being announced. Randy Orton hit a DDT off of the middle rope on Reigns, but failed to deliver the RKO. Reigns hit Orton with a Superman Punch, followed by a Spear. 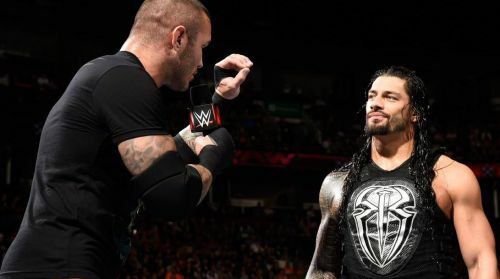 In a bizarre ending, Orton rolled out of the ring and Reigns stood tall with his music playing in the background, as if he had won the match. It's clear as day here that WWE wanted to protect both Orton and Reigns in the match, but it could have been done in a less confusing manner. Roman Reigns IS a huge acquisition for the blue brand, as was promised on the official website. This move couldn't have come at a better time, as Reigns would have been booed by the crowd had he faced Seth Rollins for the Universal Title, going forward. Hopefully, The Big Dog stays on SmackDown Live for a long while, away from the spotlight of the red show. What was your reaction to Roman Reigns moving to SmackDown Live? Sound off in the comments below! What if Roman Reigns had joined SmackDown Live in the 2016 draft?